I was so excited for today!! 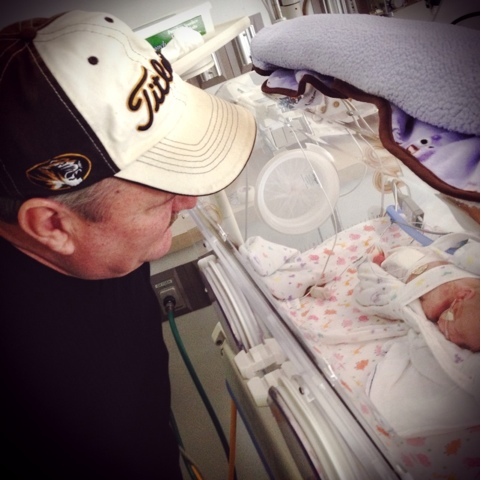 Grandpa Smith got to come see Briella for the 1st time since the afternoon after she was born!! If you remember from a post in August, he has a blood clot in each lung and an ankle to thigh clot in his leg that makes it very hard for him to walk for more than a couple minutes and needs to keep it elevated. So it was a big trip for Papa to ride all the way to the hospital and back. Briella was a little firecracker today. Papa got to hear her cry a lot. Mommy got to hold Brie while Papa and Grandma were there. 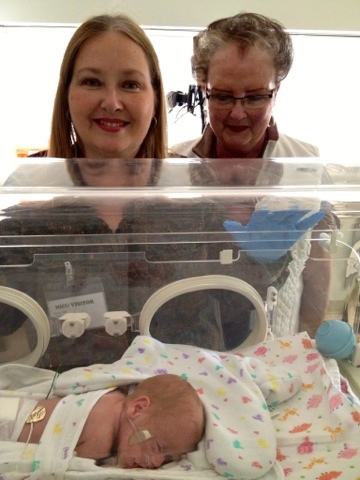 Then great grandma Beemie came and we were able to get a 4 generations picture! It was just missing Aubrey. 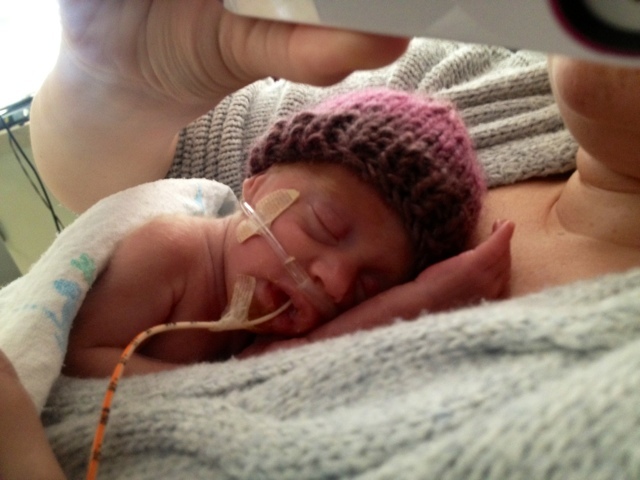 Aubrey can no longer come to the hospital because its flu season and the NICU doesn't let anyone under 12 in. After we left the hospital, Briella's nurse switched her feeding tube from her mouth to a smaller one in her nose. I can't wait to get back up to the hospital to see how she looks now! Please continue to pray that Briella stays infection & NEC free and gains weight at a healthy pace.